After several timely storms rolled through, we did a few tours over the holidays in the Tahoe region, the first of which was Grouse Rock on 12/26/14. 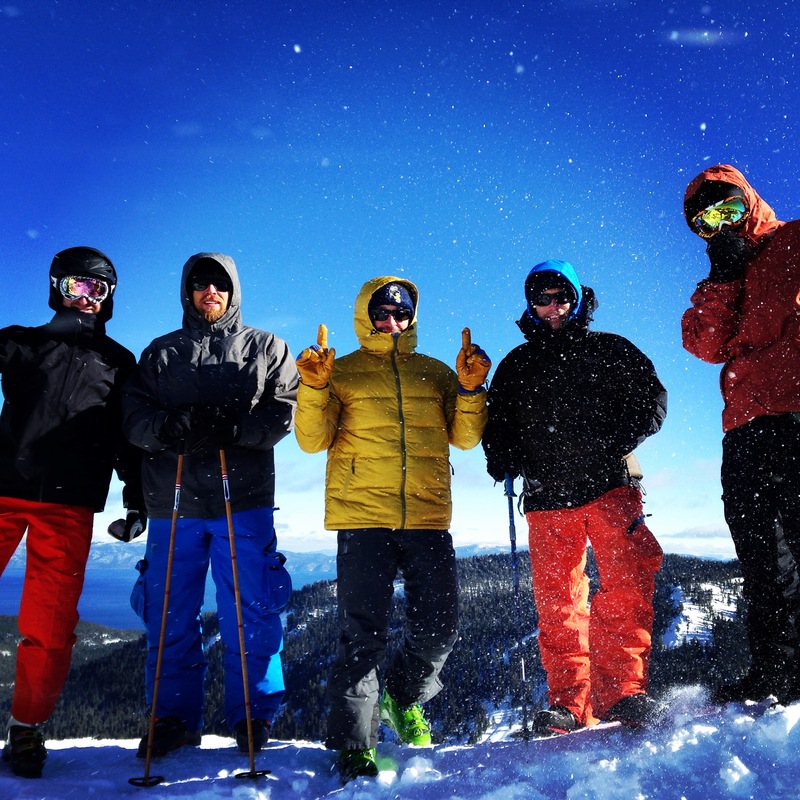 After a late-night Xmas crockpotluck party with friends, we were looking for a mellow but fun tour we could do the next day that would be relatively close to our Tahoe ski lease near Sunnyside. Grouse Rock turned out to be a great choice. The tour began at the base of Sherwood Chair (Alpine Meadows) at the top of Ward Canyon. We mostly meandered up through the trees on the east face below Grouse Rock. The face became seriously icy at the top due to the unusually cold temps and wind, making this the only sketchy part of the tour. We skied down the ridge away from the summit, dropping below Grouse Rock (skiers left) on the east face. We found surprisingly good conditions, although occasional crusty spots prevented us from opening it up completely. 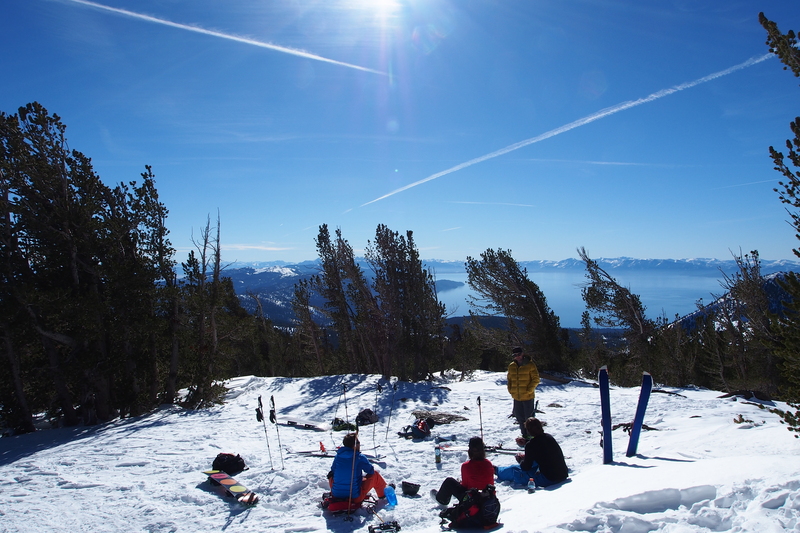 We found some good snow again on Silver Peak on 12/27/14, and after a few days of resort riding and overindulgence, we rode Tamarack Peak on 01/03/14. 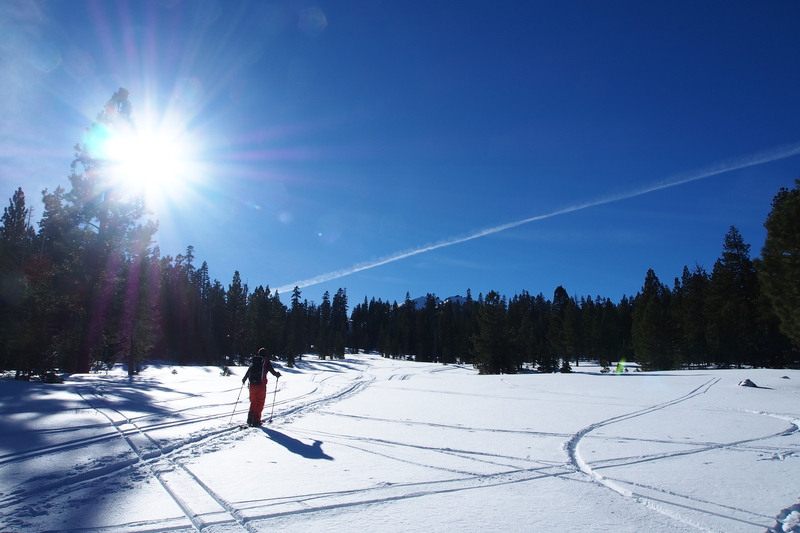 Although we hadn’t had new snow since before Christmas, we were surprised to find relatively good conditions. We toured up the east face, but realized at the top that it would have been easier to stay to the north of the ridge. Rather than heading down toward Hourglass bowl, we traversed skiers right on the east face and descended from there.